Amazingly, women the world over seem to have an irrational fear of stripes. I'm not sure what that's all about, but it's time for a change. I thought this would be as good a time as ever to discuss the topic, especially since I've teamed up with Citizen Watches and we're looking to impart stylish advice this summer. 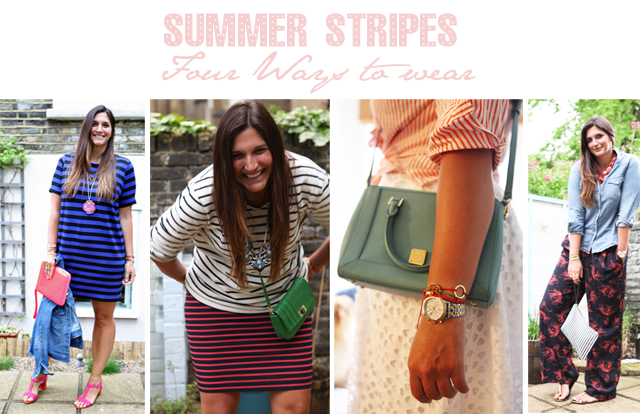 With that in mind, we've put together four ways to wear stripes this summer. 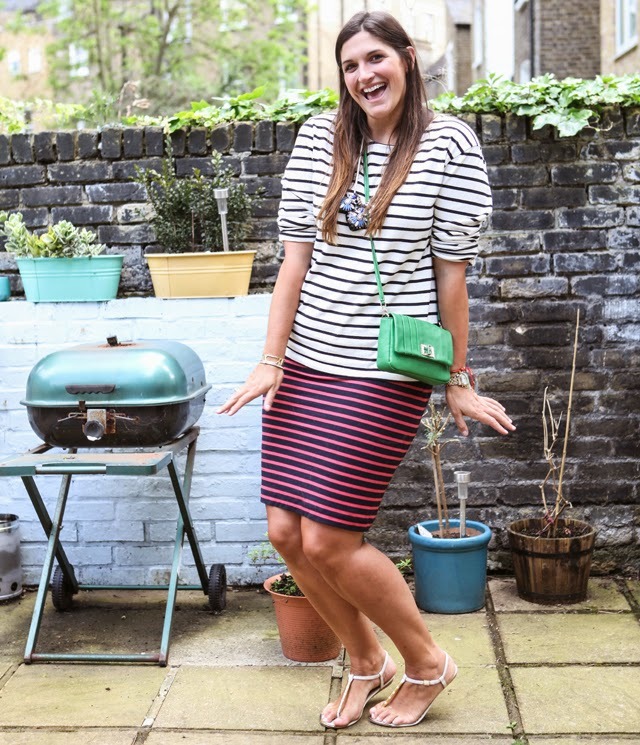 Below, you'll find stripe on stripe, dress stripes, skirt pairing and wearing your stripes in the palm of your hand. There's a little something for everyone depending on your comfort level with the legendary stripe. As well as a guest appearance from the world famous Pepper Pomeranian, you'll also find I'm wearing the new Drive by Citizen watch in all the outfits. I've said it once and I'll say it again - a watch is just as important an accessory as any other and we're loving this stylish mix of medals for the Citizen Drive AML. For look one I went a little crazy with stripe on stripe. Don't be afraid to mix your stripes just as you would your patterns. It's all about taking risks and seeing how it turns out. This combination of stripes is perfectly paired with the different colors and widths of stripe. Is it just me or am I saying "stripe" a lot? Nature of the game, I guess. 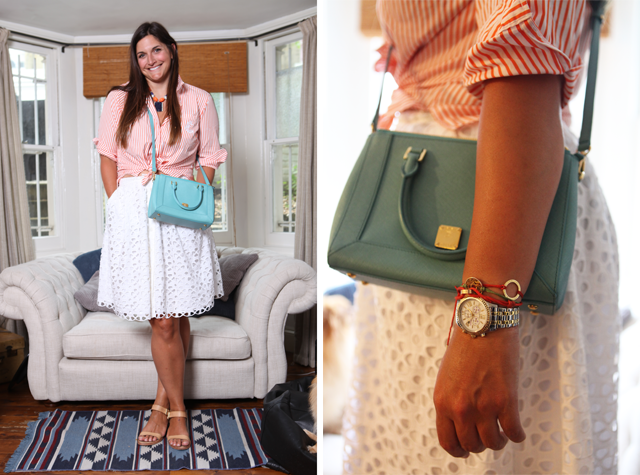 I paired the look with a colour pop bag and a chunky necklace to give it a bit of an "umph." 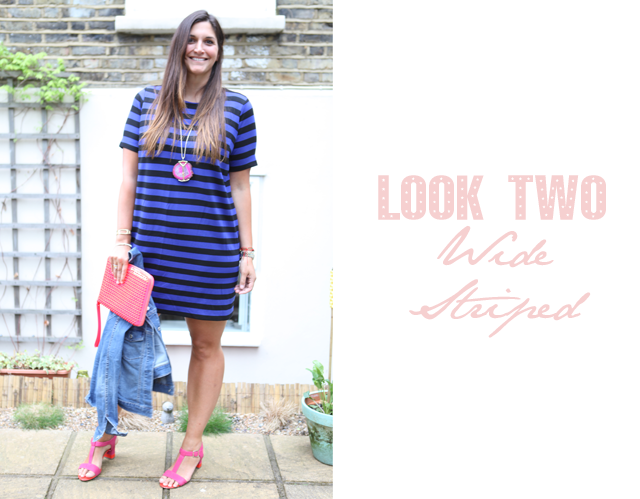 For look two, I let the wide stripe do all the talking. Anyone checking out catwalks for the past few spring summers will know that the wide stripe has found a permanent place in the heart of fashion. Designers love a simple stripe for a daytime look. 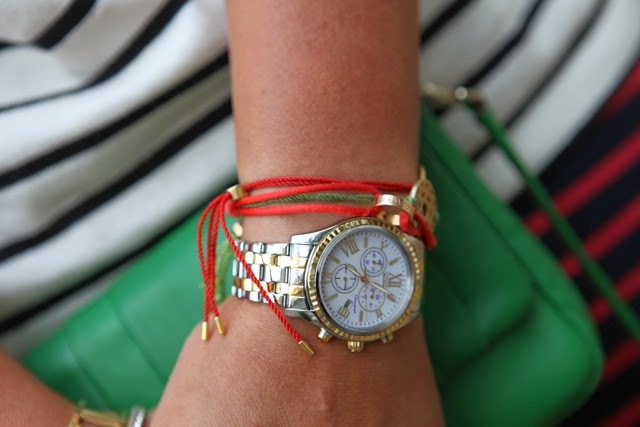 It's an easy piece to throw on and accessorize. Just make sure the stripes aren't too wide. 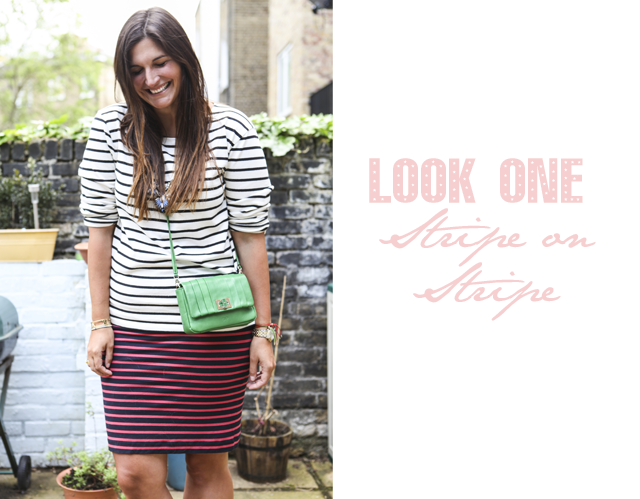 There is some truth to stripes making you look wider, so keep these to a not-too-wide width. Again, accessories are key. I went with a bright heel and matching necklace and bag to keep things seasonal. Look three was so good it attracted the photographer's beautiful Pomeranian, Pepper. In truth, this is a combination of some of my favourite items from my closet. You can borrow your boyfriend's striped shirt for the top. Just make sure to do a firm tie in the front (and tuck if you have excess fabric you're working with). Then throw on either a high waisted pencil skirt or an A-line figure to really emphasize the waist. Look four can't be more simply. It's all about carrying your stripes in the palm of your hand. The stripe trend has carried through to shoes, jewelry, bags and even dog collars. 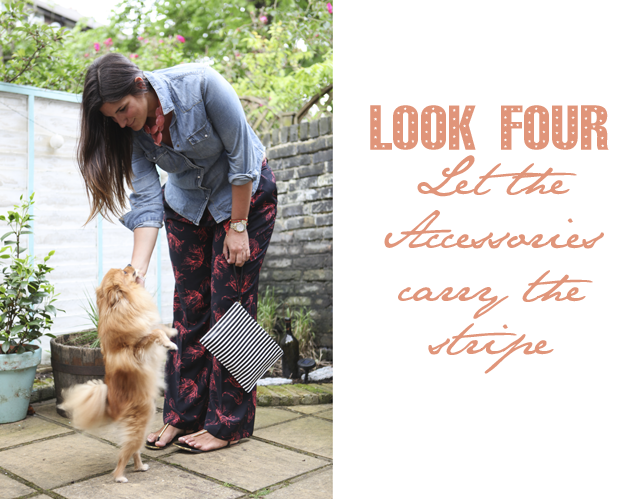 Here I carry a striped clutch that plays against floral trousers and a denim shirt. All very simple with the pattern pairing. Just remember - try it all. You never know what combination will come out looking like it took inspiration directly from Vogue Magazine! 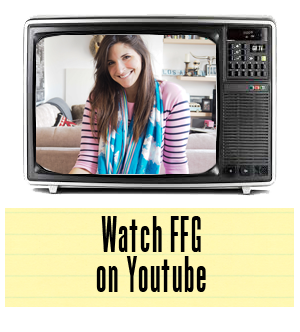 FFG worked in collaboration with Citizen Watches. All photos courtesy of the very talented Terence Webb.